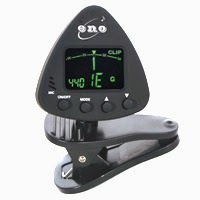 The ET 3000 Eno chromatic tuner features a vibration sensor that enables accurate tuning of your guitar, bass, ukulele or violin. It features an easy to read red to green LCD status indicator screen light that clearly shows how sharp or flat you are, and is accurate to +/- 5%. 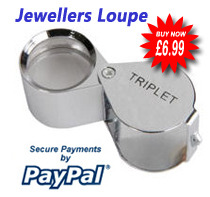 Either clip into your instrument for silent tuning or use stand alone with the built in mic. The tuner has a 360 degree rotating display and with the backlight illuminating the LCD panel in dark settings you can tune easily wherever you are. Takes 1 x CR2032 cell battery which is supplied and being a small, handy size it can be popped in your gig bag/music case for convenience.